The day before yesterday, the Independent Election Commission (IEC) proclaimed the primary list of nominees for National Assembly Elections (NAE) belong to seven provinces of the country. The further names of those who previously filled the registration forms and surrendered their related documents are seen in this list. But, based on some reasons such as faults that were seen in package of documents or based on some reasons, they were not regarding as eligible, were omitted from the list. But, it is said that this list is primary and those nominees their names were omitted can offer satisfying reasons to the commission and in such a state, it is possible in final list, they be recognized as legal candidate. 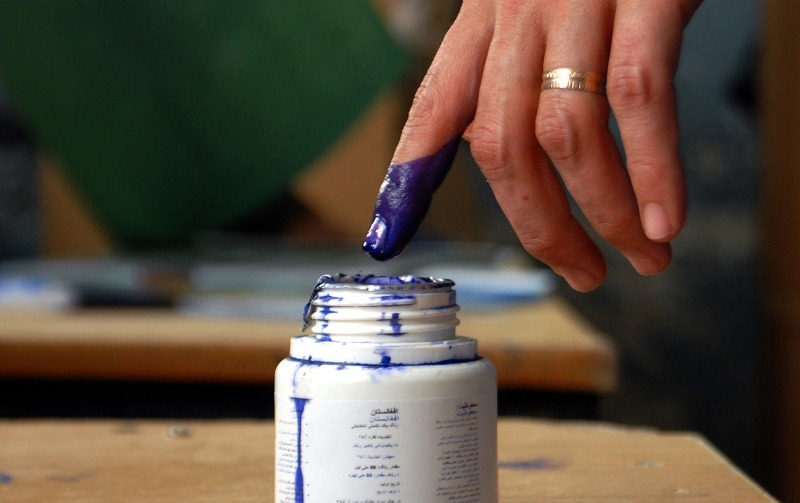 The purpose behind publishing of primary list of possible nominee for national assembly election is creation of an opportunity for voters and those citizens that there would be some complaints in connection with enlisting of their names in released list as well as about being of their eligibility. Since then, till releasing of final list, those citizens are complaining about these possible candidate can refer to IEC and register their complains parallel with procedures are available that would be investigated carefully by this commission. If these complains were fixed and documented this would cause decision to be made regarding their remaining or permanent omission for final list. Anyway, if the IEC be succeeded even with delaying for two days, should proclaim the primary list of seven provinces and it is planned in near future, the list of remaining provinces to be proclaimed by this commission and be published in media. In fact, it is a high step towards national assembly election. It is meant the gradually ending of mistrust about capability of commission in holding of timely election of national assembly. It shows if the commission to promote slowly the programs one after another, the process would be implemented parallel with timetable. This would increase the believes of citizens regarding the capability of commission in its correct activity according to the laws and procedures are available and end the doubts regarding the transparency and timely execution of programs proclaimed previously, the issue that the IEC is in its dire need. Previously, the IEC was facing with serious mistrusts of citizens in connection with its capability, transparency and being far from corruption as well as possible fraud in the process. The IEC is in need of managing of works on its due time and in accord with expectations of citizens especially with expectations of controlling institutions over elections and institutions belong to civil society, that in fact are recognizing among people as trust worthy institutions. The commission management should increase the trust of citizens regarding the capability of the commission and transparency of elections and also raise the hopes in regard with holding of parliamentary elections in accord with the laws ruling in the country. Parallel with timetable proclaimed, the IEC should publish the final schedule of nominees of national assembly elections as well as the list of voters so that the citizens to believe in commission and be assured that the election to be held on its due time as transparent and just. So far, the citizens are not assure the election to be held on its due time as transparent and in accord with the laws rule in the country. Political parties, civil institutions and the monitoring institutions play their role in trust building. They believe considering the procedure conducting by IEC, reduces the possibility of this that the commission could do what expectations are existed. With transparent, correct and fixed implementation of programs of election process and in accord with timetable proclaimed, the IEC should build trust among citizens and manage the situation that since now, the believe of people to election result be heightened. It is necessary, this commission to make necessary effort to respond timely to any concern of countrymen.